For today's post, I thought I'd try this tweed design I saw on Instagram. Even though I can't freehand, I thought I could tackle this design as it's a bunch of tiny lines. NOT! I made such a horrible mess that I'm ashamed to even show you! HAHA! It was supposed to look like this: done by the amazing Lexstasy Nails. Mine are no where near hers. Before I show you, let's talk. I buy a lot of polish. We all know this. It's my addiction, my reason to get up in the morning (HEHE). But when it comes to buying stuff I actually need, in my mind, that takes away from my polish money. Do you do that in your head too? I've been wearing the same boots for roughly 8 years now. They are still presentable, but you can see where they are getting threadbare and the soles are so thin, that the right rock may punch right on through. I decided I needed new boots. I had gone before looking for them, but it was the wrong season. If you want boots, it has to be Fall. I love DSW-for my international peeps, this stands for Discount Shoe Warehouse. It's a store chain that sells boots at a discount. I love this store as I'm not one who will pay thousands for boots. This time, I found two pair that I fell in love with. My way of doing things is if I find something I like, I just buy it in several colors. I'm not a clothes hound. All my shirts for work are the exact same thing, just different colors. 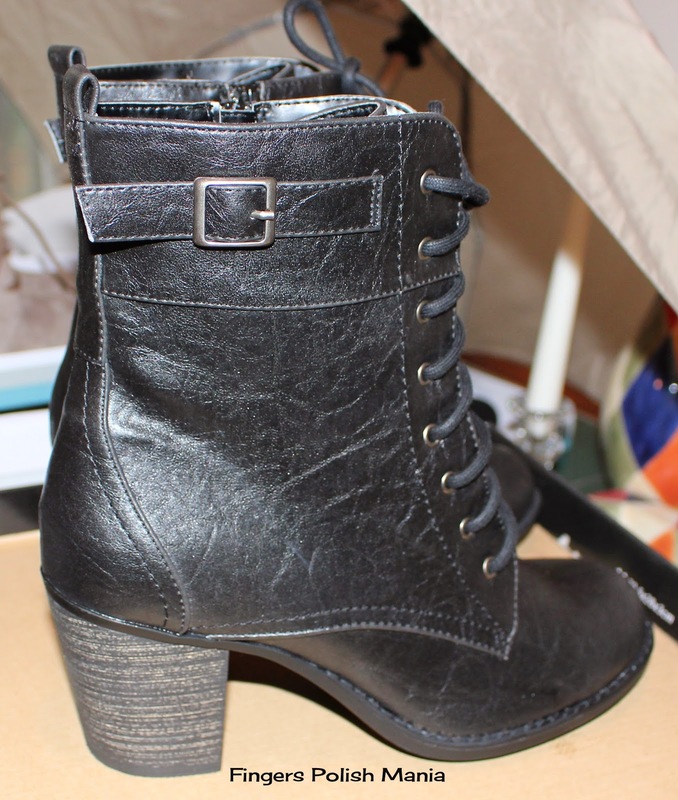 This time I bought four pairs of boots, but in two styles. I just got them in brown and black. Want to see? I ALWAYS have to have me some combat boots like the first picture here. It's who I am. Still GOTH at the core. The bottom pair just called to me. Aren't they awesome? Suede. Now remember I got these in black and brown. This last style had one gorgeous dark blue that I almost bought but didn't. I wore these suede ones to work this past Friday and boy are they comfortable as hell right out of the box. Plus? These are the skinniest heels I've ever owned. I was worried I was gonna fall over! I didn't do a bottle shot for these next two posts. 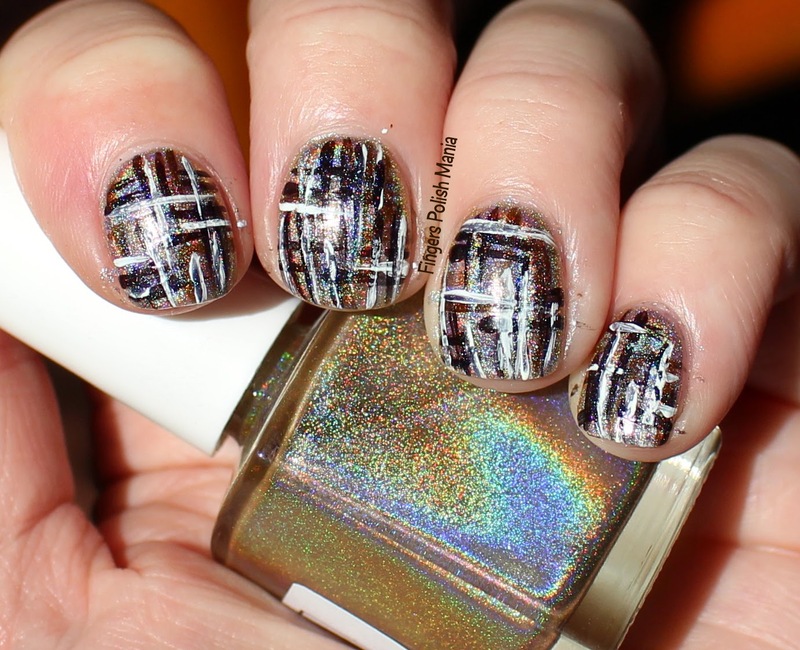 I started with the most gorgeous gold holo and proceeded to ruin it twice. OMG this is a stunner! This is Liquid Sky Lacquer Pure Luxury. 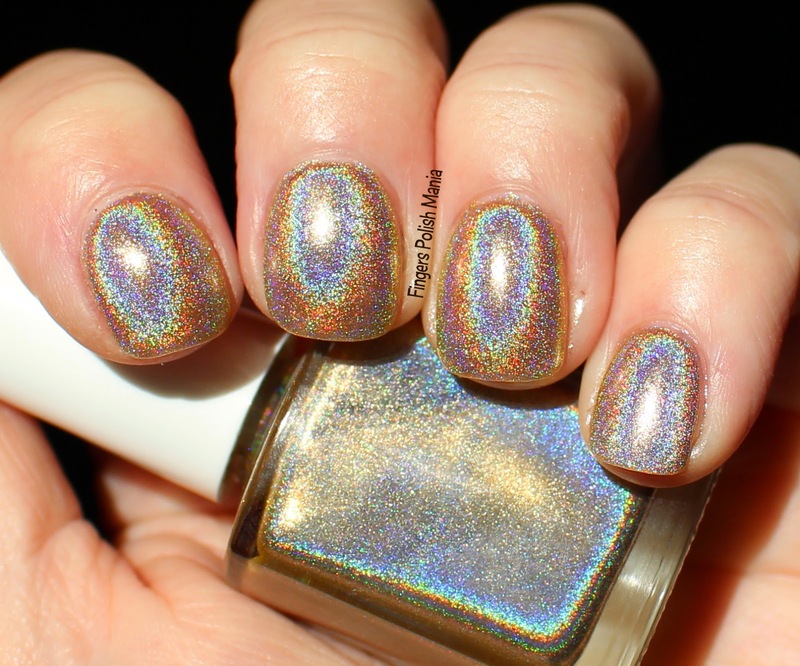 Strong, linear holo that you needs shades for! 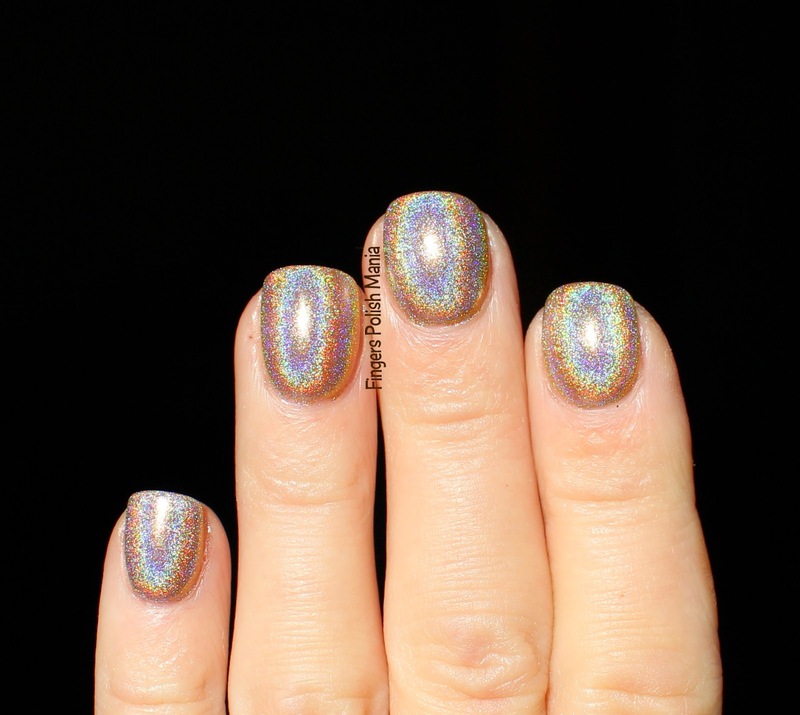 Next I took several brown holos as I wanted to recreate Lexstasy's with holos. I went way too overboard instead of random like hers. Are you ready? It's not pretty. Yikes! 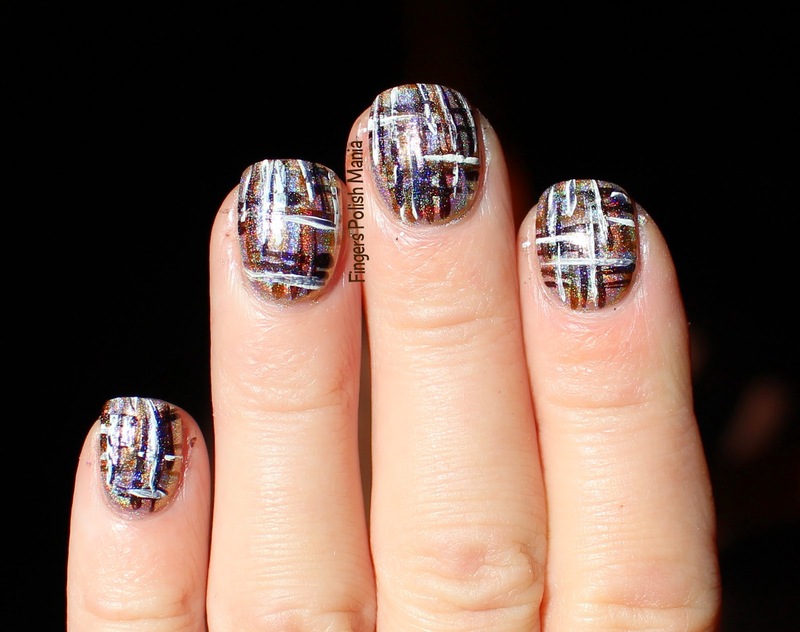 Let's call this abstract instead of a tweed fail! Maybe in some alternate universe this might be considered cool. But not here and not now. I ended up taking this off, leaving the gold behind. As you can see, I didn't even do all the cleanup here. That's for next time. Fail #2.